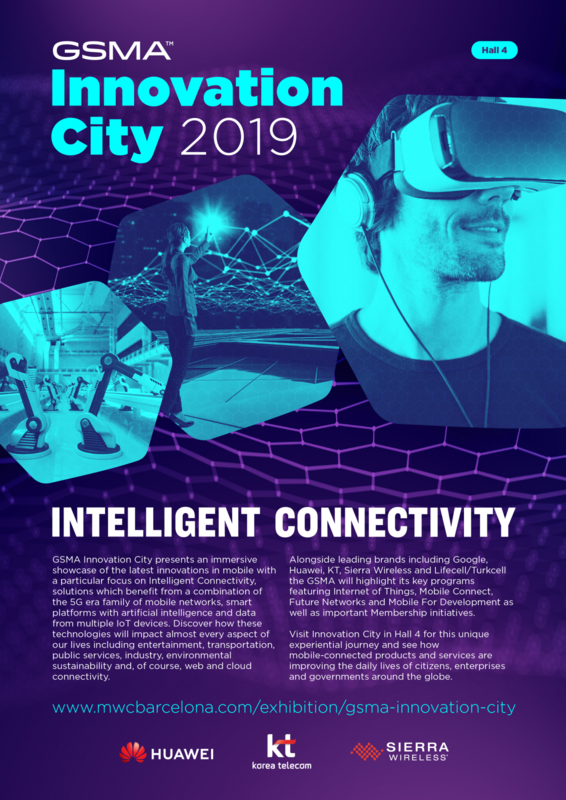 GSMA Innovation City presents an immersive showcase of the latest innovations in mobile with a particular focus on Intelligent Connectivity, solutions which benefit from a combination of the 5G era family of mobile networks, smart platforms with artificial intelligence and data from multiple IoT devices. Discover how these technologies will impact almost every aspect of our lives including entertainment, transportation, public services, industry, environmental sustainability and, of course, web and cloud connectivity. Alongside leading brands including Google, Huawei, KT, Sierra Wireless and Turkcell the GSMA will highlight its key programs featuring Internet of Things, Mobile Connect, Future Networks and Mobile For Development as well as important Membership initiatives. Visit Innovation City in Hall 4 for this unique experiential journey and see how mobile-connected products and services are improving the daily lives of citizens, enterprises and governments around the globe. Check out the GSMA Pavilion in the City; where you can expect to find a specially selected showcase for our visitors. The Membership team are based here all week, playing host to some exclusive events in the upstairs VIP Members Lounge.